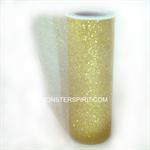 6" x 10 Yards of Shimmering Glitter Tulle Netting in Metallic Gold. 6" x 10 Yards of Shimmering Glitter Tulle Netting in Metallic Hot Pink. 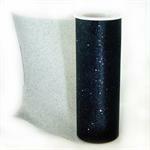 6" x 10 Yards of Shimmering Glitter Tulle Netting in Metallic Black. 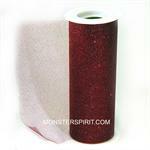 6" x 10 Yards of Shimmering Glitter Tulle Netting in Metallic Burgundy. 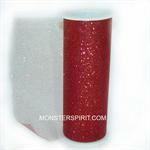 6" x 10 Yards of Shimmering Glitter Tulle Netting in Metallic Red.